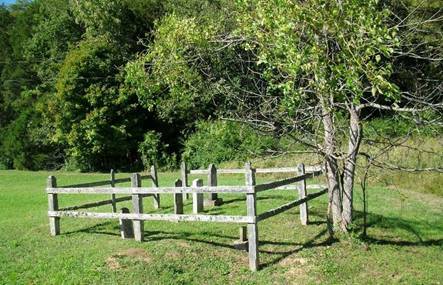 This cemetery is located beside Beech Creek Rd. (highway 228) 5 miles from Tennessee Highway 13. It appears that this cemetery could have been larger at some point in time. There may be several more graves here. Those are listed below. There is said to be more graves here & credit is given to the enumerators for the listing below. Below is the enumeration of this cemetery made by J. Erving and Ermadine Riley for the Wayne Co., TN cemetery book. Turnbo, William (Billie), born 1878-? ?